The other day I came to a realization. After one year of juggling full-time employment and mommyhood, trying to keep a garden, cook great meals, keep this blog, write fantastic stories at work — I was nearly burned out. Cooking and gardening — both sources of relaxation — had become drudgery. This blog had become an after thought. And work was getting frustrating. So, over the past few weeks, I’ve spent some time doing nothing. As a result, some nights we have frozen pizza for dinner. And some weekends, the house gets pretty darn gross. But you know what? That’s OK.
For the next month or two you’ll see fewer blog posts. Not that I’ve been blogging much this summer. 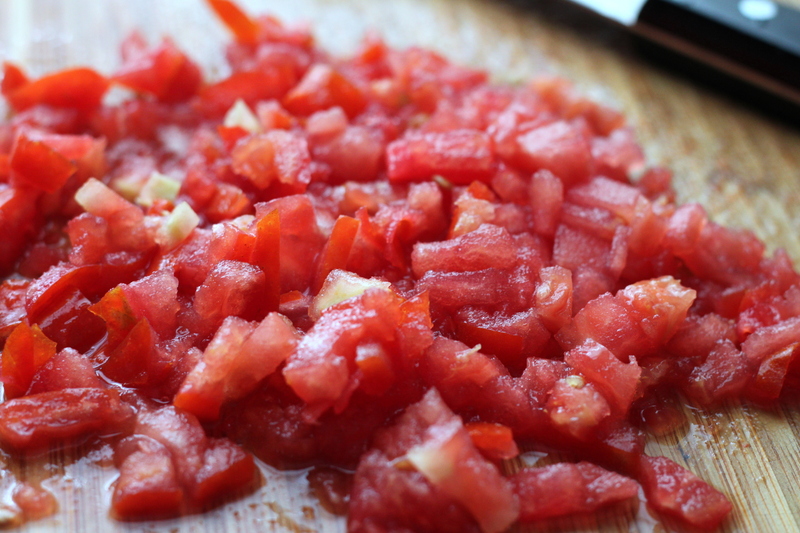 If I find a recipe or revisit and old one that I can’t resist sharing, you will find it here. Otherwise, know that I’m hitting the reset button. 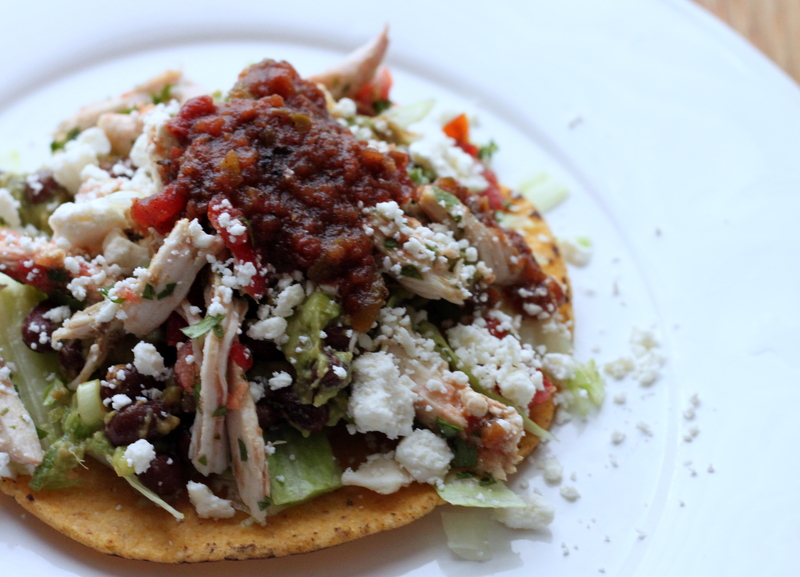 I couldn’t help but share these tostadas that are a perennial favorite around here. I found this recipe in 2007 when Jeff was living in Houston. We picked up recipe cards anytime we were at Central Market or Whole Foods, and a few of them were good enough to make year after year. I made these again last weekend when my parents were in town. The combination of flavors and textures are really quite incredible. 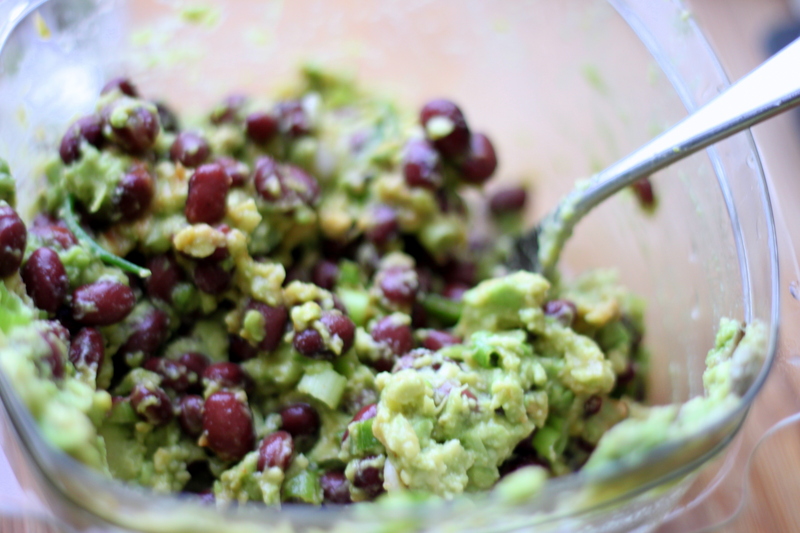 The black bean and avocado mixture could be eaten alone or as a dip. Feta cheese isn’t exactly Mexican, but with the rest of these ingredients it’s absolutely amazing. In a small bowl, combine shredded chicken, tomato, cilantro and cumin. Season to taste with a squeeze of lime juice. 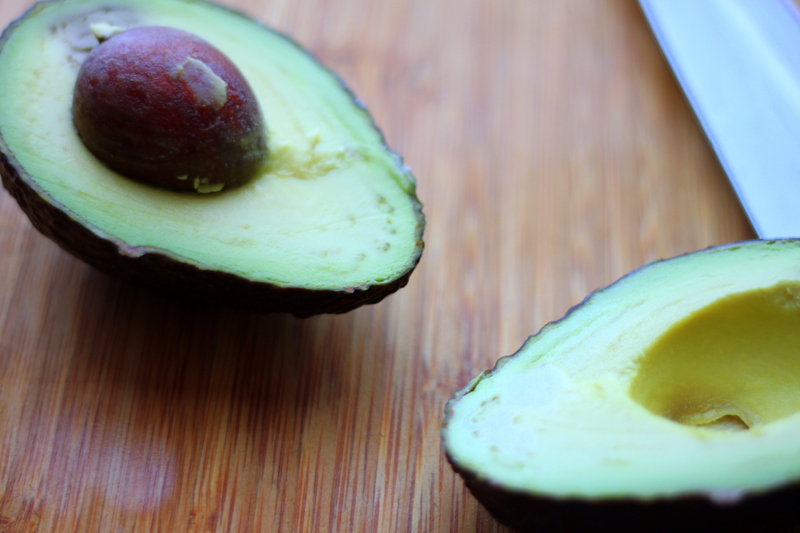 In a separate, medium bowl, mash the avocado with the 4 teaspoons of lime juice until almost smooth. Mix in beans and green onions. Season to taste with hot sauce. Arrange tostada shells on plates. Top with lettuce, guacamole, and chicken mixture. Sprinkle with feta, spoon salsa over, and serve.